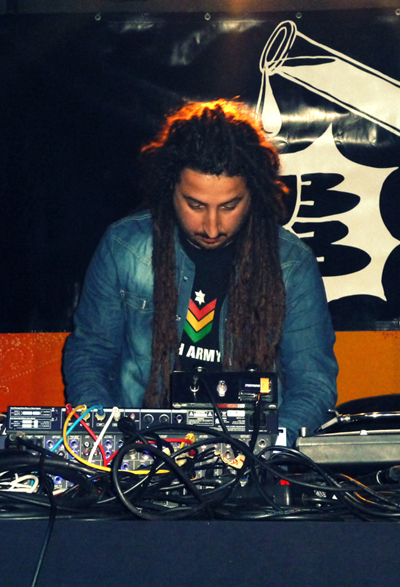 Professor Skank is by far the most well known Greek Dub producer with a number of great releases and collaborations. Born and raised in the Cretan Agios Nikolaos, he experimented with the genre at a really young age on a 4-track recorder in early 90’s. A period of blending and maturing followed that lead to his days with Soul Fire and then the great days came. Meeting Mad Professor was a turning point for him. His talent was discovered immediately and he succeeded not only to shine through but also being initiated into the dub ‘s secrets from such a living legend. In the following years their collaboration allowed Professor Skank to use the legendary Ariwa studios remixing and working with great artists and bands of reggae and dub like Max Romeo, Zion Train, Aswad, Love Grocer, Afrikan Simba and many other. In 2006, his first solo album “Industrial Democracy” was released through Universal music. Based in his studio, he kept on producing music, releasing it on international labels and presenting it all around the world and building an international career which lead to him being the first Greek musician to ever appear in Glastonbury Festival, Great Britain ‘s most famous music festival. 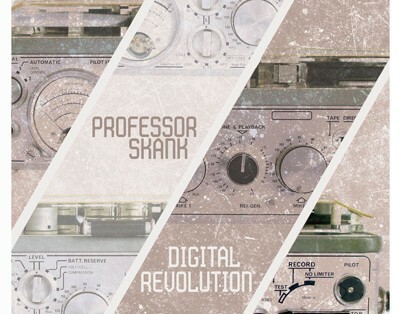 In early 2014 Mad Professor starts a new collaboration, this time with Pale Sound Records and releases his second solo album “Digital Revolution”. A project that starts with the best portents since Mad Professor is not just a mentor here but opens the album with his voice talking about Professor Skank ‘s ecumenical music. During his tours and performances, Professor Skank had the chance to meet many great artists like the legendary and one of the best living reggae singers, Earl 16. With a great career both as a solo artist as well as the front man for great bands of Leftfield and Dreadzone, Earl 16 offers his unique voice in “The Money Pressure” accompanying Nigel Farage’s dramatic speech for the Greek economic problem that made a huge impact globally. 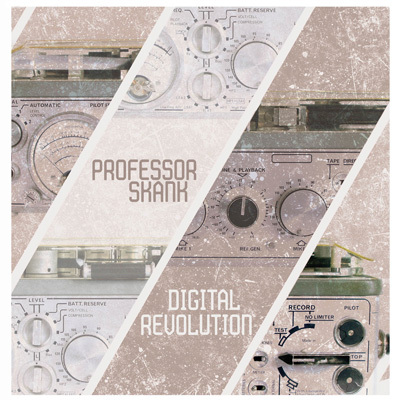 Professor Skank ‘s love for vocal samples is something easily noticed in the “Digital Revolution” album. A way to express himself through the voice of others for all those things that trouble him. His own unique method of saying out loud his ideas about all these social and political matters that affect our everyday life and send out his verdicts. And where the samples end, the voice of MC J Fyah from the Moca Juniors takes over and gives a festive touch in the project.